ProLinc Callus Eliminator is a fast acting callus remover that quickly breaks down tough, callused skin on the feet and remove dry, rough skin on feet and heels in minutes! 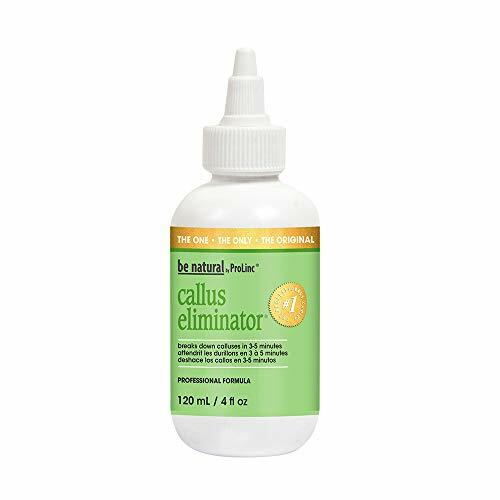 This Callus Eliminator is Ideal for runners, those who are on their feet all day at work, excessive high heel wearing, dry heels, wearing shoes with low moisture, and general upkeep. Fast acting formula breaks down calluses in 3-5 minutes to smooth dry, cracked heels and calluses while softening and reducing corns and bunions for healthier, softer feet. No drip and easy application with a convenient, easy to squeeze dispenser bottle. Only required in callused area, and will last several uses. Share with the entire family! Trusted by Salons and Nail Professionals. Safe. Cruelty Free and Proudly Made in the USA.